Donna Whitehead, Executive Dean of UWE Bristol’s Bristol Business School and Bristol Law School, was named New Director of the Year at the 2018 IoD South West awards. Leading a team of nearly 300 staff and more than 6,000 students, Donna manages a budget of £55 million. She also leads the work on enterprise across the University. 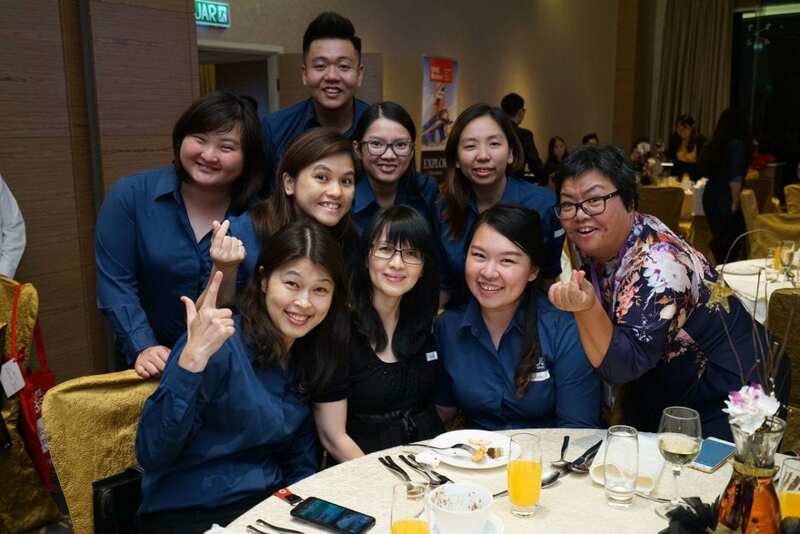 In winning the inaugural New Director award, she was singled out for achieving transformational change for the organisation in an impressively short period of time. A total of 14 directors from across the region were shortlisted for the awards, presented yesterday at a ceremony near Exeter. The awards were sponsored by accountants Bishop Fleming, which has offices throughout the South West. Guest speaker was Roy Kinnear, COO of South West-based airline Flybe. All the winners will now go forward for a chance to represent the South West at the IoD National Director of the Year Awards in the autumn. UWE Bristol offer a number of opportunities for their students. Candie Walters, a third year Business and Management student, has just completed a 10 week internship in the FBL Faculty. Keep reading to find out what she got up to. I am a UWE Bristol Business and Management student who has just completed a 10 week internship in the Engagement and Enterprise teams in the FBL Faculty at UWE Bristol. The past 10 weeks have been wonderful. I have thoroughly enjoyed every aspect, from managing social media accounts to planning events. The diversity of tasks has meant each day has been different and interesting; allowing me to continuously learn. I was responsible for managing the social media accounts; writing weekly blogs, tweeting daily, and updating the Instagram account. I had to make sure I was aware of the different stories and activities that were going on in the university and publicise them. I created a content plan for each week covering what I needed to include in the following weeks social media posts. This meant I was able to keep track and make sure the content was interesting and informative for the audience. Another task I was responsible for alongside Izzy, another intern, was to organise the FBL Level One Induction Activity. Izzy and I had to organise an event for 1500 FBL students in fresher’s week from start to finish. The activity consisted of four sessions spread out across three days in fresher’s week. The aim of the activity was to energise the first year students and introduce them to the enterprise pathway. The activity consisted of problem solving and crowdsourcing ideas on an online platform. We liaised with external companies, and were able use iDeeter’s online problem solving platform. It was an awesome tool to find opportunities and solve problems. Students had the opportunity to ‘up vote’ solutions and ideas in which a winner was granted a prize. This event required event management skills along with a huge degree of organisational skills. Myself and Izzy, had to organise times, dates, groups, leaders, speakers, rooms, prizes and resources for the event; whilst also coming up with an agenda for each activity. This required successful communication with myself and Izzy as well as with other members of staff. Emailing and calling people was our main form of communication, but we also organised and held regular meetings with the academics and the iDeeter staff to ensure everyone was on board and knew exactly what was expected. Furthermore, my role consisted of basic data entry tasks, data management, shoot logistics, event and research planning, liaising with stakeholders, project management and general organisation for meetings and car parking bookings. As you can tell, my line manager packed so much over the 10 week period for me, and I am leaving with a book full of knowledge that I can now put into my studies for my final year at UWE Bristol. The team at UWE are the most welcoming and friendly staff I have ever worked for. They are always happy and willing to help with anything. 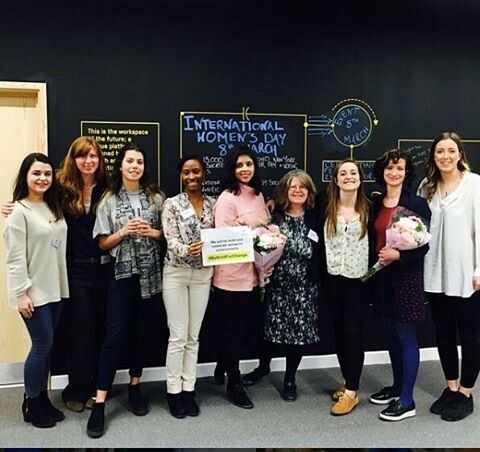 I can’t explain how much I have learnt during my time working for UWE and I put that down to the amazing alumni team – Anna, Rachel and Laura. I strongly recommend that anyone who is thinking about doing an internship, to come to UWE! Student satisfaction has risen for a third consecutive year at the University of the West of England (UWE Bristol), figures released today have revealed. A university record 88 per cent of final year students graduating this summer signalled they were satisfied overall with the quality of their course. Up one percentage point on last year, UWE Bristol’s score now stands at four per cent above the national average. The result from the National Student Survey lifts UWE Bristol to 27th in the national league table from 155 institutions, up 31 places on last year. UWE Bristol boasts the highest overall student satisfaction rate of all 13 South West universities. 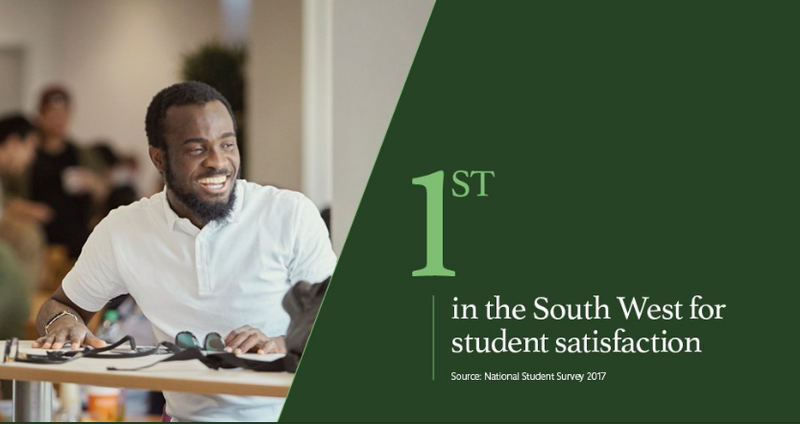 UWE Bristol’s satisfaction scores are above the national average for each of the 27 questions in the survey, including four new questions covering learning opportunities and the students’ union. Sixteen programmes at the university, including Architecture, English and Environmental Science, received 100 per cent overall student satisfaction scores and a further 35 programmes achieved 90 per cent scores or higher. Within the Bristol Business School, we received excellent results for our Business and HRM; Business Management and Leadership; Banking and Finance; Marketing Communications and Tourism Management courses. Professor Steve West, UWE Bristol Vice-Chancellor, said: “I am delighted our overall result has risen for the third consecutive year – this is a tremendous achievement. “We are closer to our ambition of 90 per cent by 2020, and are continuing to progress in the right direction. It is evident that our highest performing programmes continue to sustain their performance year on year. Adapted from South West Business article written by David Clensy. The Bristol Distinguished Address Series (BDAS) will receive its 100th guest speaker when the series restarts this Autumn. The BDAS events will now take place in UWE Bristol’s new £55million Bristol Business School building. Karen Blackett OBE, chairwoman of MediaCom, will be the 100th speaker on December 6, after the talks kick off on October 11 with a talk by Sacha Romanovitch (CEO of Grant Thornton). 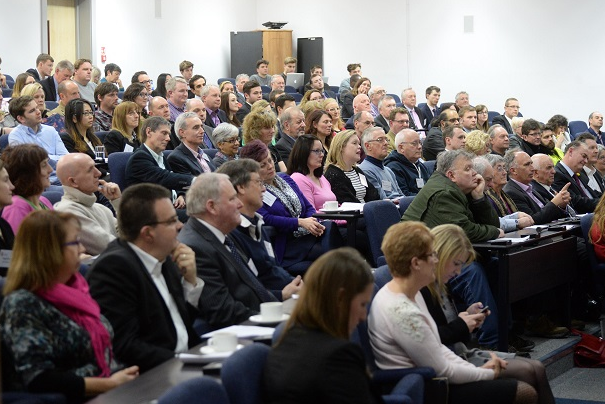 Since 2008, highly prestigious speakers have captivated audiences attending the BDAS events at UWE Bristol. Eminent lecturers have so far included Lord Karan Bilimoria (chairman, Cobra beer), who spoke about boldness in business, Michael Ward (managing director, Harrods) on the luxury industry and its challenges, and Baroness Dido Harding (chief executive, TalkTalk) on how Britain can lead in the digital revolution. Many other high-profile names from the business world also feature on the list of previous speakers. The lectures are free to attend, open to everyone and last about an hour with opportunities to meet the speaker afterwards, and to network. The talks provide a rare opportunity for attendees to hear about the challenges, issues and decisions made at the highest level of leadership. For the full article please see here. For more information on the BDAS events please see here. 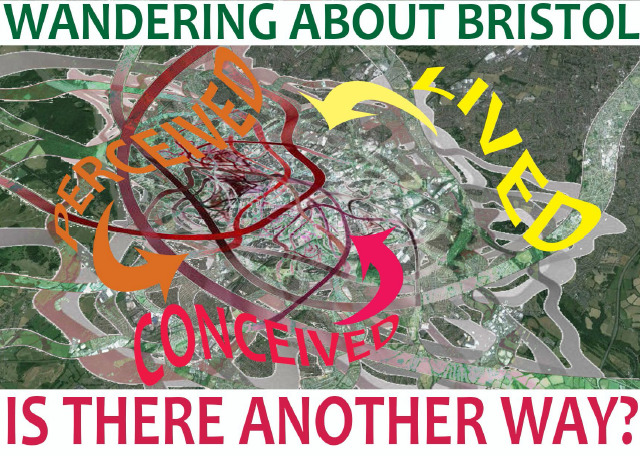 As part of a research project titled “Thinking urban spaces differently: Articulating and contesting ‘green’ imageries of Bristol as an enterprising city”, Pam Seanor, Senior Lecturer in Strategy and Enterprise, is looking for participants for a collective walk. The walk will meet at 12.15pm on June 12th at the footbridge over the River Avon nr. Sparke Evans Park. The idea of a collective walk is that it enables ideas to flow more freely than they might do if sat behind a desk. Pam is interested to hear about what Bristol means to you and if you see any perceived benefits between “green” spaces and wellbeing. The wander will also discuss feelings of ownership towards areas visited on the walk. She is keen to hear from local residents, people who use green spaces for leisure and those that work in Bristol. This is the third walk that Pam has hosted as part of the project. In Autumn 2017, she will be hosting a workshop “Exploring Spaces of “Green” Practices”. The workshop will include a short film of the walks and will collaboratively explore the different narratives identified on the walks. Additionally there will be a report shared on how walking and talking with other can help social change. Anyone who took part in the walk will be invited to attend the workshop but it will also be open to anyone who is simply interested in learning more about the project. The walk is part of a series of events run by the Festival of Nature. 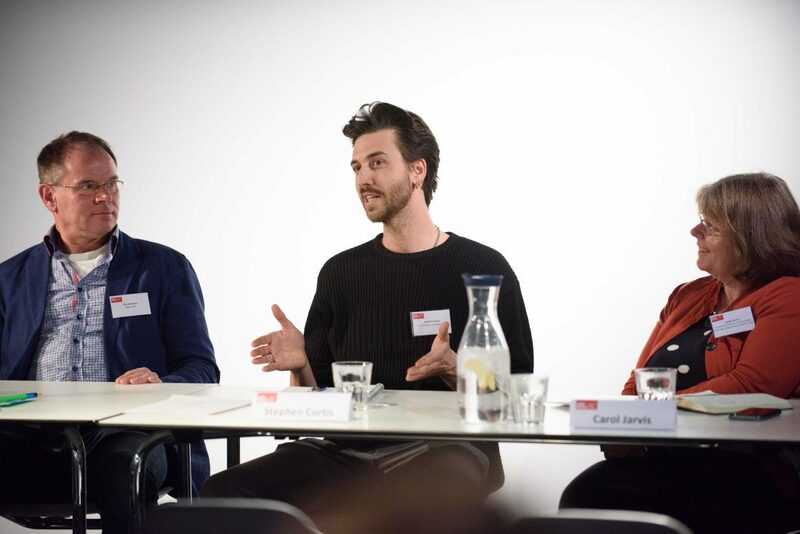 Back in December, the Bristol Business School hosted an alumni networking event at the Arnolfini which included a panel discussion that focused on the entrepreneurial mindset. The panel was made of two alumni and was chaired by Carol Jarvis, Associate Professor in Knowledge Exchange. The first panel member was Tim Hughes, an MBA alumnus who is now a success coach. Tim was joined by Steven Curtis, who is an alumnus from the Team Entrepreneur degree and has successfully launched his own business restoring old BMWs. The panel were asked to share their experiences and what the entrepreneurial mindset meant to them before the guests asked the panel questions. After the panel discussion, the alumni guests were given the opportunity to network over refreshments.